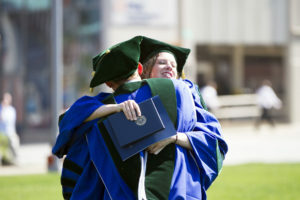 The Lake Erie College of Osteopathic Medicine (LECOM) reached yet another milestone this year as it graduated its largest class to date. LECOM awarded 1,112 degrees when the college held its commencement ceremonies on Sunday, May 27 at the Erie Insurance Arena and on Sunday, June 3 at the Bradenton Convention Center in Palmetto, Fla.
LECOM Erie awarded 591 degrees. During the Erie Ceremony, 267 students from the Erie campus and 103 students from the Seton Hill campus received the Doctor of Osteopathic Medicine Degree. In addition to the medical graduates, 140 Doctor of Pharmacy Degrees were awarded to the graduating scholars, and 42 students received the Master in Health Services Administration Degree. 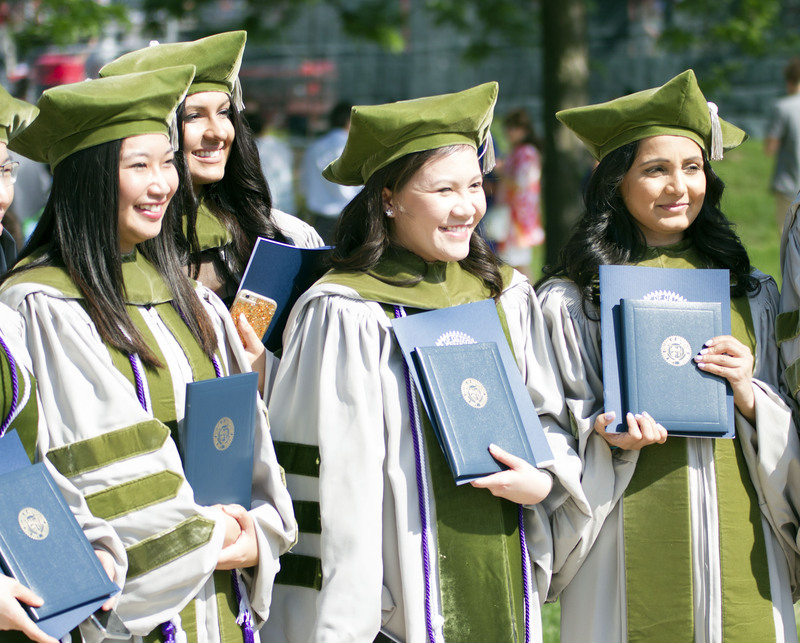 Additionally, 33 students received the Master of Science in Medical Education Degre e; and another six students were awarded the Master of Science in Biomedical Sciences Degree. As part of the commencement ceremony, an Honorary Doctor of Laws Degree was given to U.S. Rep. Mike Kelly in recognition of his work in Congress on behalf of Pennsylvania’s Third Congressional District. Congressman Kelly has been an ally with LECOM on educational issues. As a well-respected national legislator, his work on the House Ways and Means Committee, and on the Social Security, Health, and Trade Subcommittees have highlighted his valuable contributions to our nation. His work has created and continues to create an enduring and positive mark upon our state and indeed, upon our country as a whole. In Bradenton, the first Pharmacy Distance-Education (DE) graduates came together to receive their diplomas. The LECOM School of Pharmacy is one of only two online programs where a student can earn the Doctor of Pharmacy degree without attending most classes at the school. The 23 DE graduates joined 131 traditional-pathway School of Pharmacy graduates, along with 189 from the College of Osteopathic Medicine, 100 from the School of Dental Medicine and 77 from the Masters of Medical Science (MMS) and Masters in Health Service Administration (MHSA) programs. LECOM is the nation’s largest medical college and is part of LECOM Health, an osteopathic academic health center. 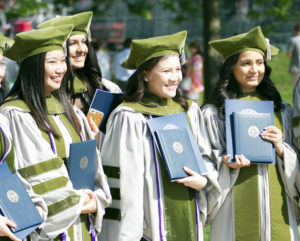 Many Doctor of Pharmacy (Pharm.D.) graduates will begin their careers at community and clinical pharmacies across the nation and an increasing number of them elect to continue with post-graduate specialized residency programs. College of Osteopathic Medicine graduates will continue their post-graduate training at hospitals throughout the nation, with 30 percent continuing their learning in Florida and Pennsylvania. LECOM graduates the most primary care physicians in the U.S.
LECOM Master of Medical Education and Masters in Health Services Administration graduates are planning to use their new skills at teaching hospitals and in leadership roles at healthcare facilities around the country.